I don’t normally like garage sales. I’m not a big fan of thrift stores. I don’t enjoy digging through piles or racks. I don’t want to spend all day driving from store to store looking for the best deal. I prefer pouring over catalogs, magazines, and websites and dog-earring or bookmarking my favorite things, that I begin to obsess over until I finally go see it in person and purchase it. It takes longer this way, but I rarely return things or regret purchases. Only three dollars! It really only needs a new shade to update it. I texted a picture to Adrienne and she wanted it (I was ready to keep it for myself if she didn’t). 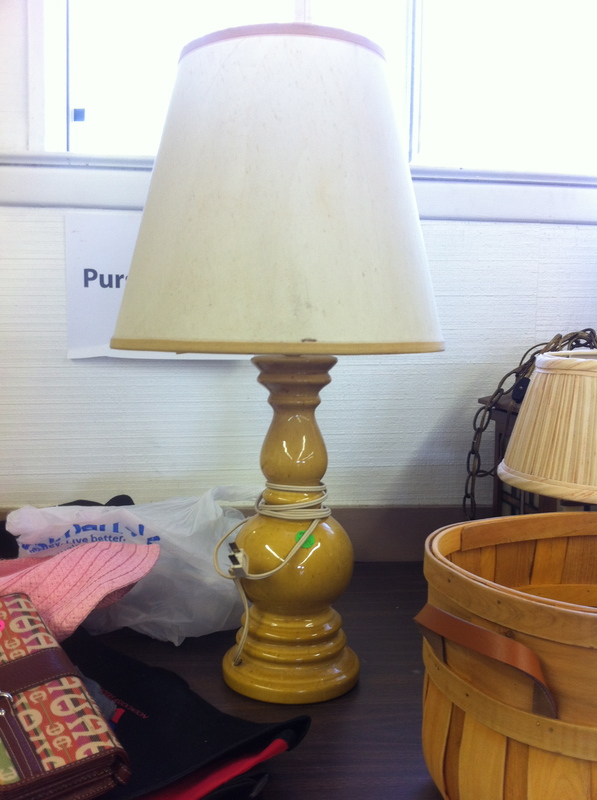 She loves purples and reds, so this mustard yellow should complement those colors well. 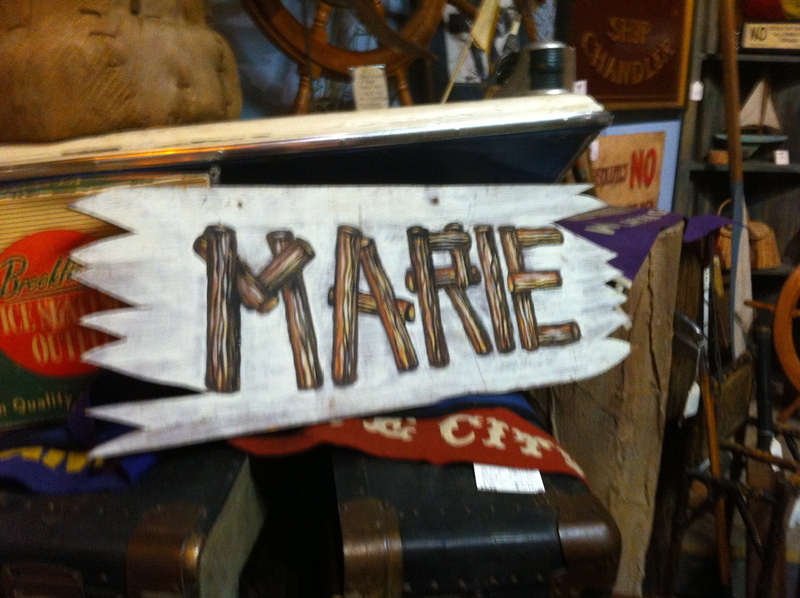 After my one-for-one success, I headed to Again & Again in Dalls for the Riverfront’s Fall Antiques District Streetwide Sale. I’ve never been to the store and they post great things on Facebook, I had to go! 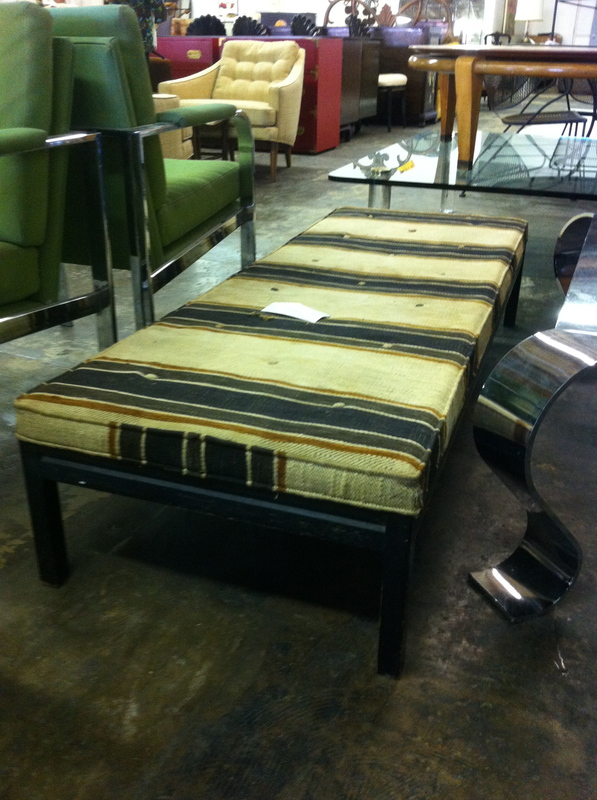 This bench/ottoman/coffee table reminds me of the antique rug ottomans I’ve been seeing so much of (and wanting) lately. This one was super long; I wasn’t ready to drive back to Fort Worth with that in my tiny car. You can see so much great stuff in the background–I will be back! 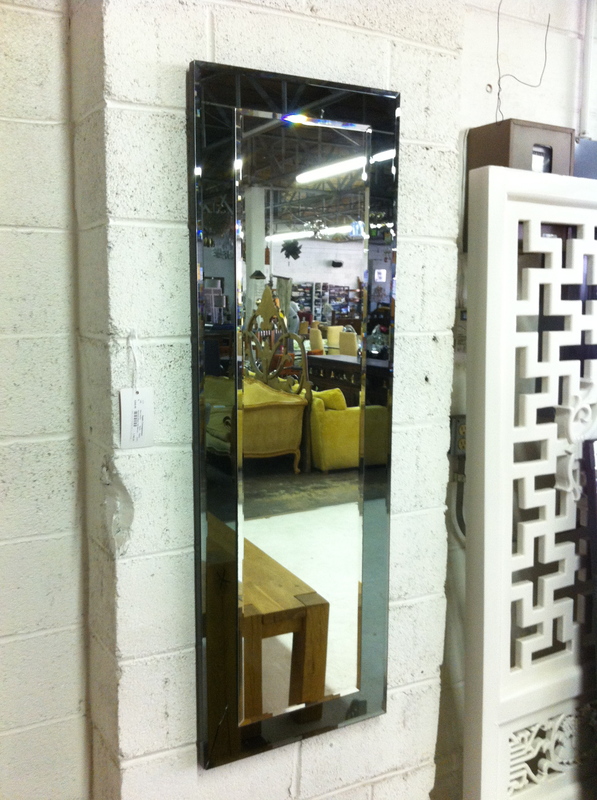 I loved this mirror! It has a crack in the lower left hand corner, but you could put a plant in front of that, right? 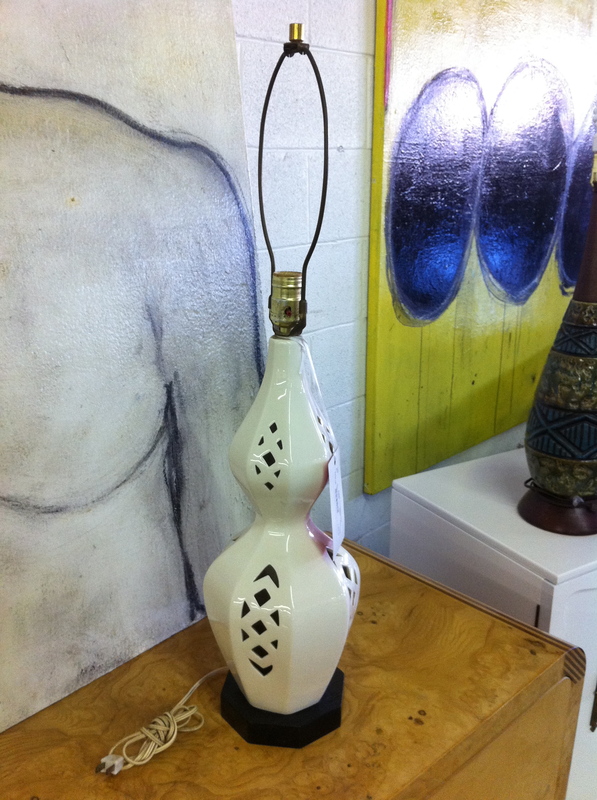 This was my favorite of all the awesome lamps. 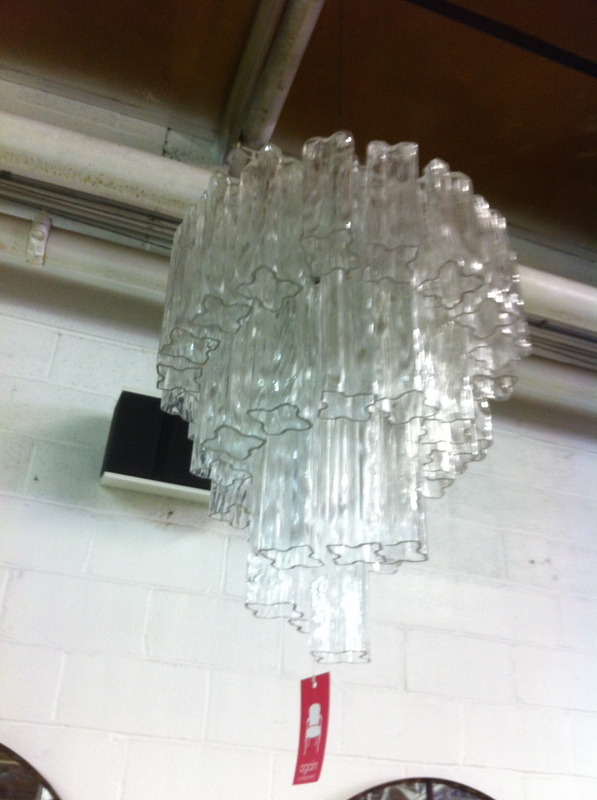 I had gone through half the store before I realized there were fixtures for sale on the ceiling too! This store has too many good things to mentally process and the staff was very helpful too. I walked around to some of the other stores in the area and there were so many great deals to be had! 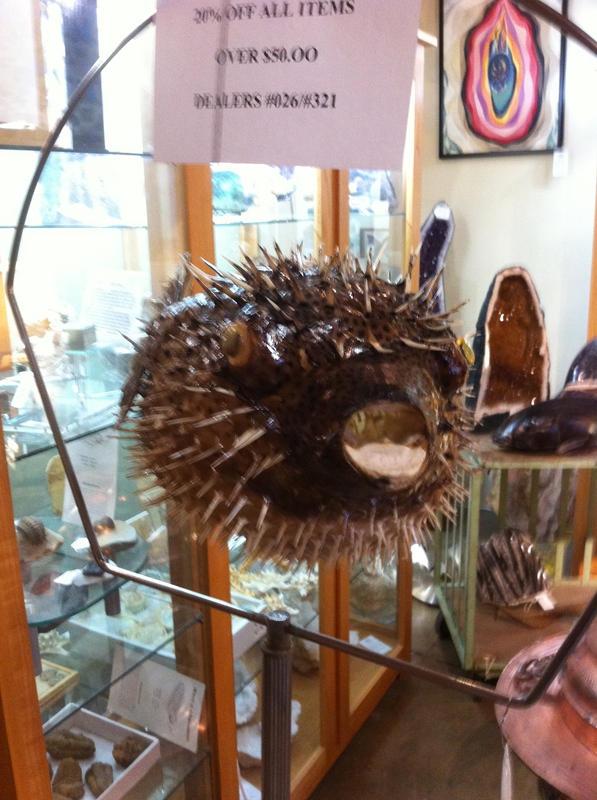 Oh hey, is anyone looking for an “XL Blowfish on Art Deco Chrome Stand?” I know where you can get one. I cheered myself up back in Fort Worth with a skirt from Anthropologie and some new software for my laptop. Retail therapy always cheers me up! Happy shopping!